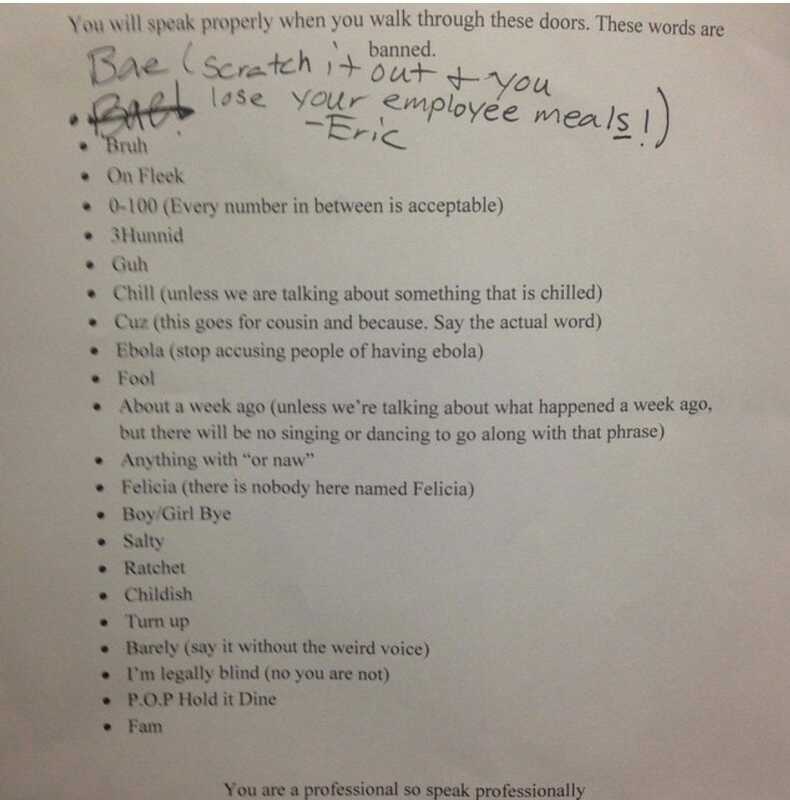 A Chick-fil-A restaurant manager has allegedly banned employees from using a hilariously specific list of modern slang words, according to a threat on Reddit. We reached out to the company for comment and will update when we hear back. 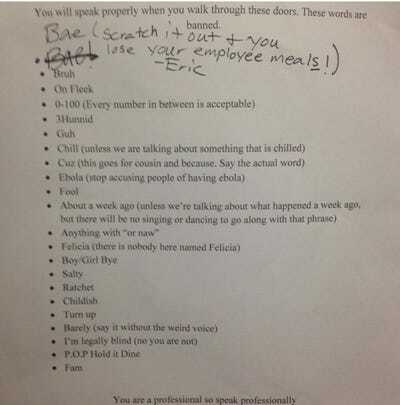 We were unable to independently verify that the list came from a Chick-fil-A manager.